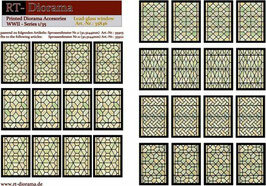 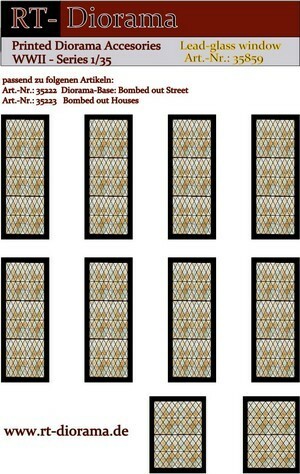 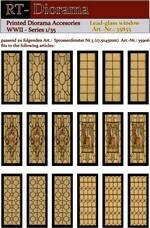 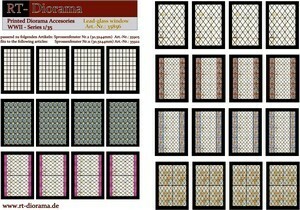 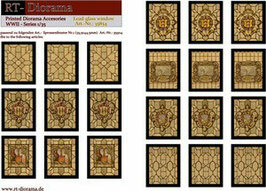 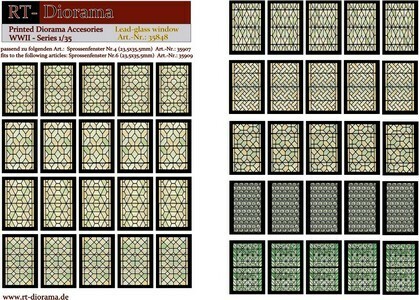 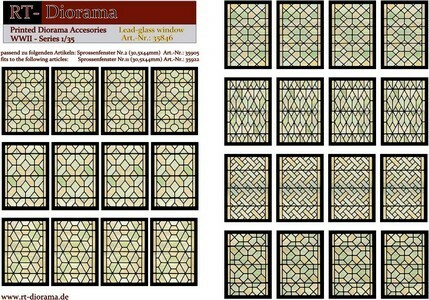 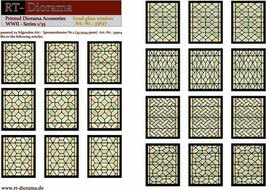 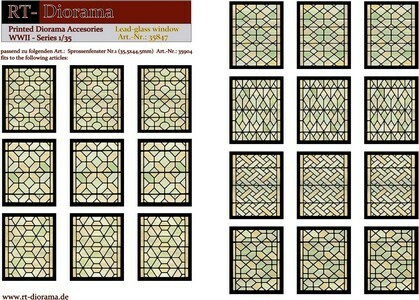 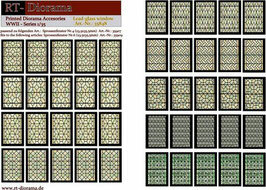 We proudly offer you now, as well, different sets of “lead glazing” for sticking behind windows and doors. Thoroughly this beautiful shaped windows the Diorama will be enhanced further – especially as through the lead glazing there arises an impressively picture. 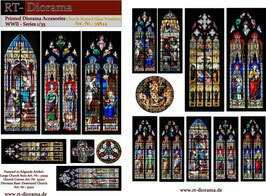 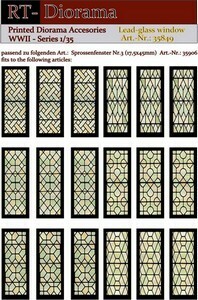 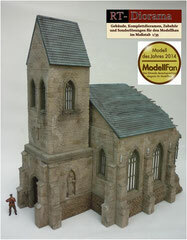 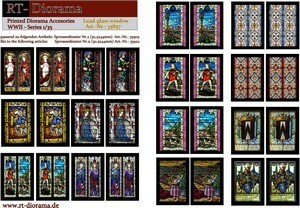 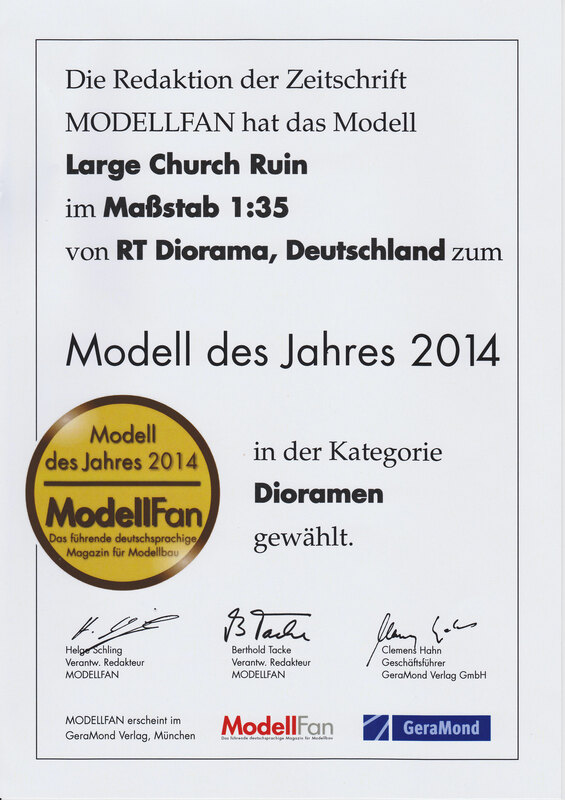 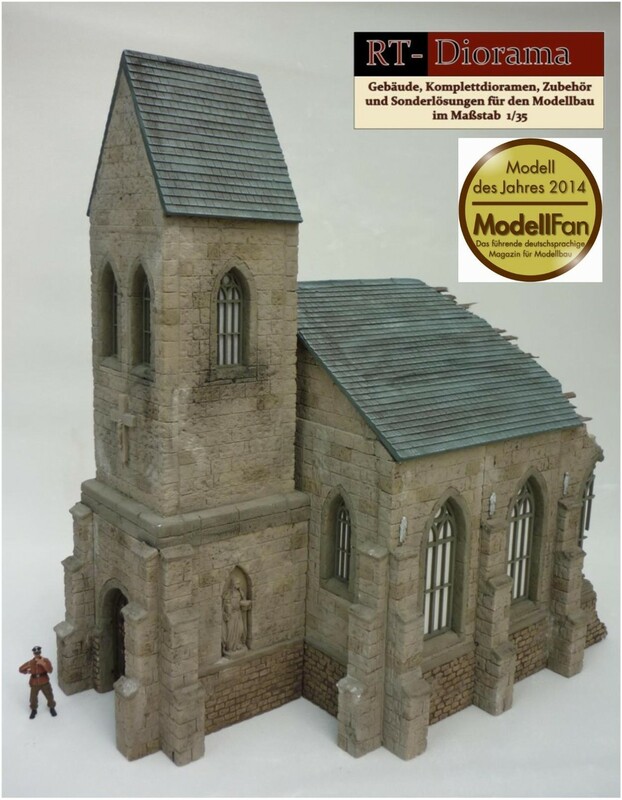 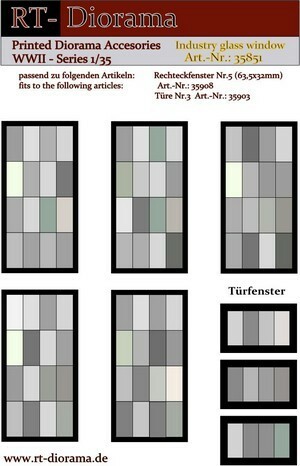 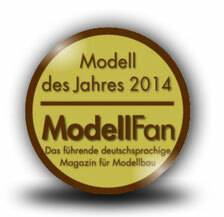 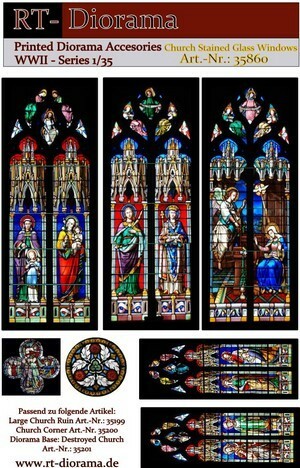 passend für 5 Große Kirchenfenster und 9 kleine Kirchenfenster. 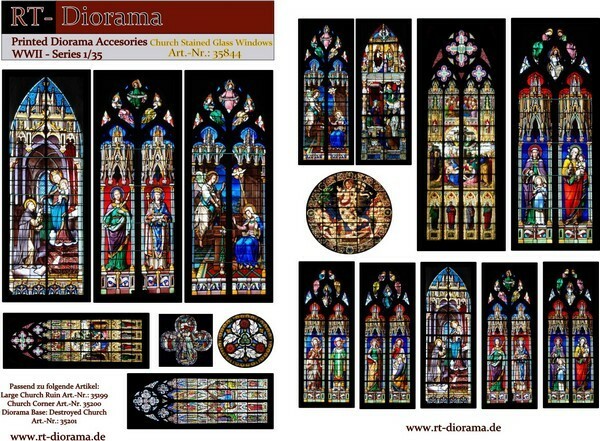 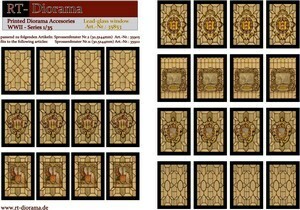 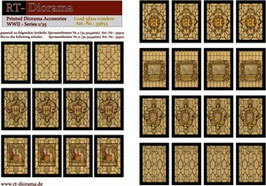 Through this beautiful set your diorama is further enhanced, since a very atmospheric image is generated by the "stained glass".